They're Depending On You! Holley carburetors and replacement parts are in big demand during the racing season. Your customers are depending on you to get the right parts fast, so they can get on the track. Motor State's large inventory and prompt, accurate shipping ensure complete and on time order delivery. 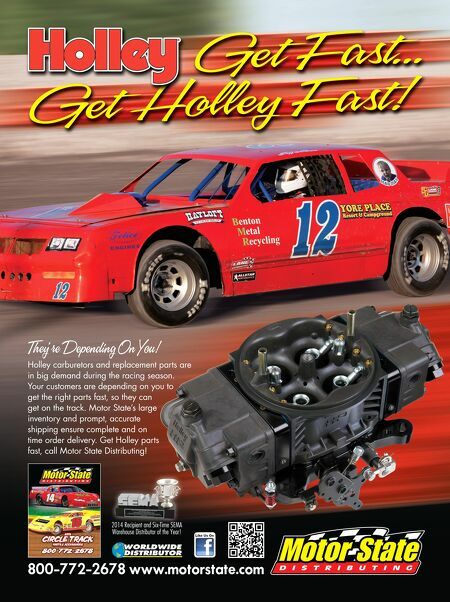 Get Holley parts fast, call Motor State Distributing! 800-772-2678 www.motorstate.com Like Us On 2014 Recipient and Six-Time SEMA Warehouse Distributor of the Year!